Important: Case number record (CNR) is unique ID number which remains constant and all the concerned parties and advocates are requested to ascertain the CNR number of their respective cases from the concerned courts and to refer and use the same wherever required. Principal District & Session Judge Court was established in the year 1978 and started its functioning in the month of May 1978. Prior to 1978, there was only one District & Sessions Judge for Rajouri District and Poonch District, who was holding the court for both the districts and his place of sittings were 02 months at Poonch & 01 month at Rajouri under the administrative control of Jammu & Kashmir High Court. Sub Judge Court has been functioning since prior to the year 1947. 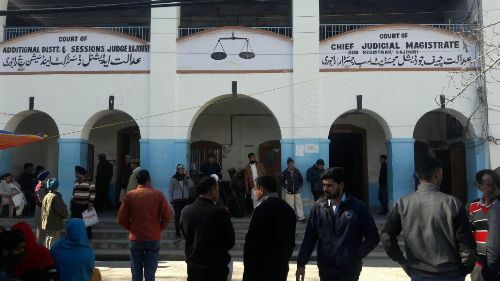 However District Mobile Magistrate Court Rajouri was simultaneously created with the creation of District Court. With the establishment of Court of Additional District and Session Judge in 2009, the burden of work of the Court of Pr. District and Sessions Judge, Rajouri has been shared considerably resulting in speedy justice to litigants. One day Orientation Programme on Fair and Speedy Trial in Civil and Criminal Cases scheduled to be held in the Lecture Hall of J&K, State Judicial Academy, Janipur, Jammu on 23rd of December, 2017 (Saturday) at 9.30 a.m. sharp.